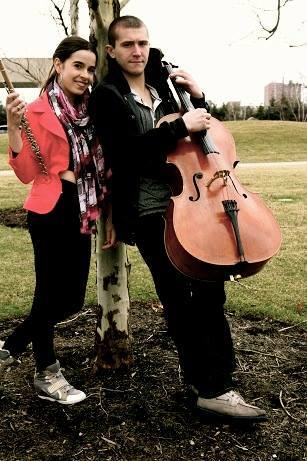 In2ative is an avant-garde flute and cello duo who perform an array of non-classical musical genres ranging from alternative rock to improvisational jazz. Trevor Kazarian and Kimberly Zaleski have played music together since they met as students at The Cleveland Institute of Music. Their blending of musical styles, mixed with jamming high-energy and beat-boxing swing, creates a product that is sweet but also very passionate. Most of their pieces are original compositions, inspired by their life events and experiences, both past and present.